Cardbomb: #TGIFC153 - March Madness - Anything Goes! 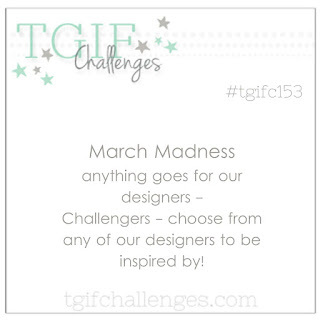 #TGIFC153 - March Madness - Anything Goes! Hey! 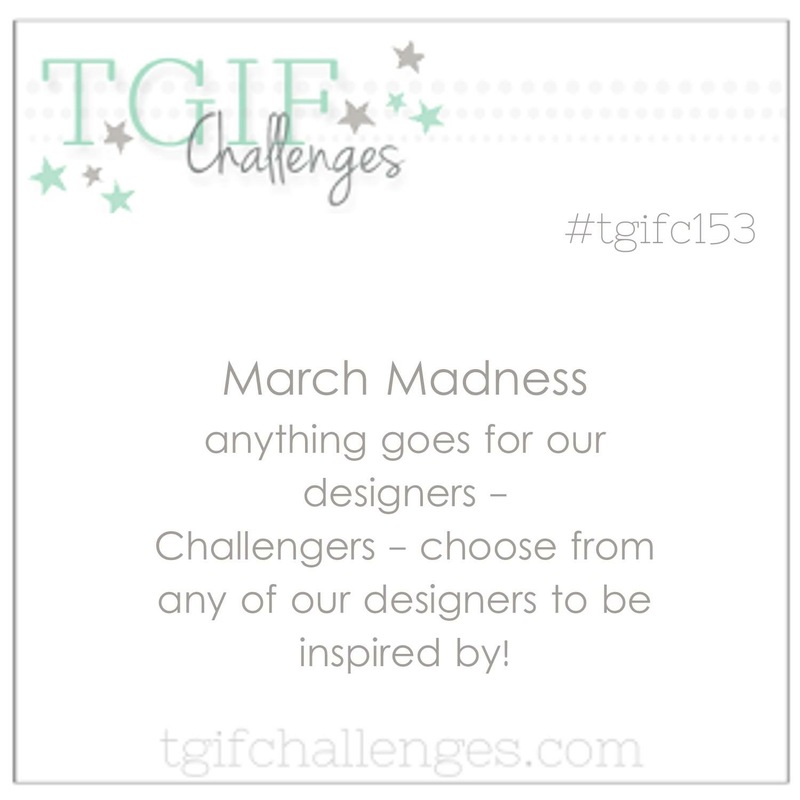 It's Thursday night/Friday morning at midnight and that means we've got another amazing challenge for you over at TGIF Challenges! This is a really good one too so you might want to play along with us. The theme is March Madness and anything goes this week (yes, that's right, make anything you want to)! 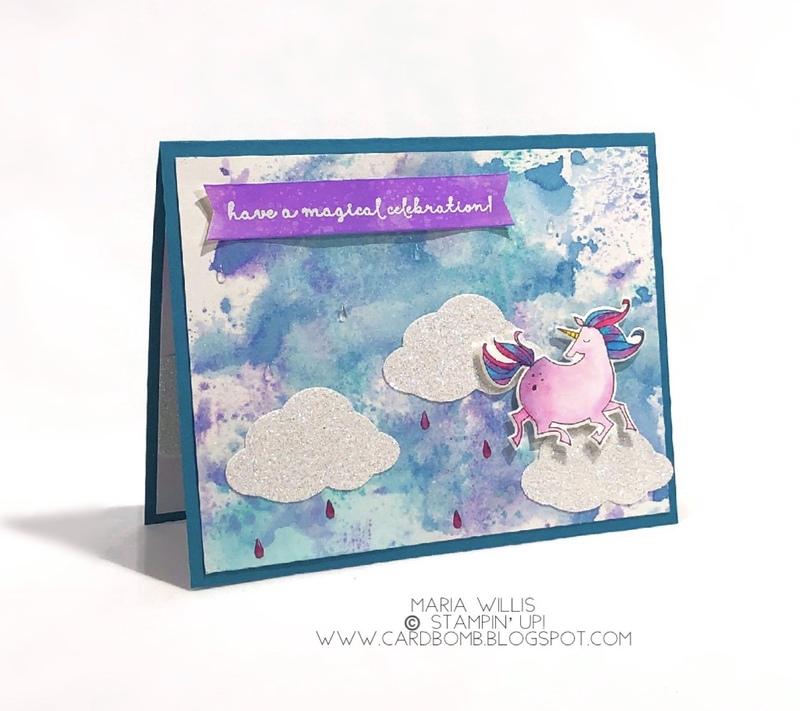 I took this opportunity to mix and match some of the random things I had sitting on my desk to make a card. I watercolored this unicorn months ago and smooched that background weeks ago. Unfortunately, this is the nature of my desk... I have half-finished crafty things all over the place and I've been thinking lately that I should really make an effort to get all these fun pieces onto cards. The unicorn was watercolored with Pacific Point and Melon Mambo inks with Daffodil Delight for the horn. I cannot remember what colors I used on the background although it appears to be Melon Mambo, Pacific Point... and maybe something else thrown int there. I'm sorry that I can't remember exactly what I did but on that day I went on a background making rampage and ended up with a bunch of different backgrounds of unknown color combos. The sentiment is from Fairy Celebrations and is just perfect with this unicorn. 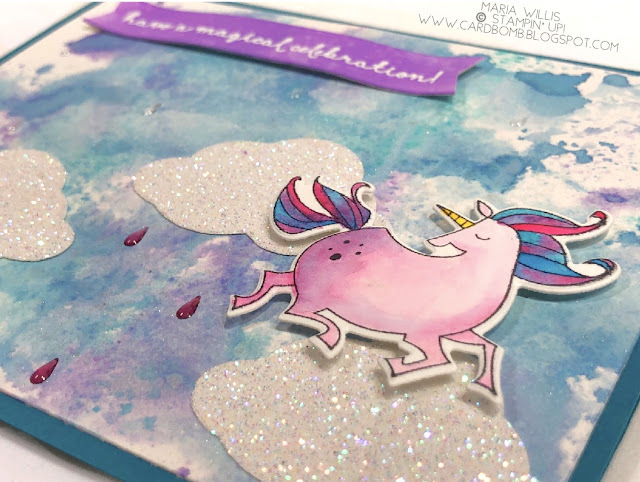 That's all I've got for today folks but if you've got a second then head on over to the TGIF Challenge Blog to see what the rest of the design team has made to share with you today. With an anything goes theme the projects are sure to be amazing! Another cool thing for this week is that if you decide to play along you can case any design team member that you want! Have fun! Have an amazing day you all! See you back here soon!